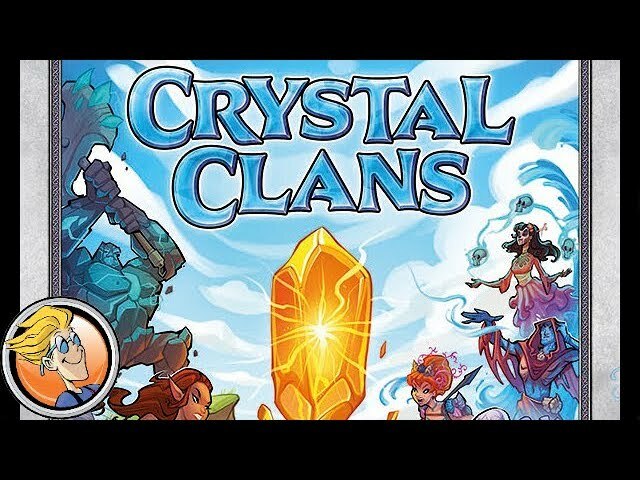 Choose your clan, prepare for battle, and fight for control of powerful crystals in Crystal Clans, a battle card game for two players from the designer of Summoner Wars. Command unique armies, outmaneuver and outwit your opponent with a unique initiative system that allows for interesting and clever play to outdo brute force. From the adaptable Water Clan to the relentless Skull Clan, use your cards in multiple ways and dominate the board with your squads of units, heroes, and special abilities - all in order to dominate the Crystals and claim victory! Buy Crystal Clans for a quick-playing tactical experience of fantasy combat in a gorgeous new universe from Plaid Hat Games.